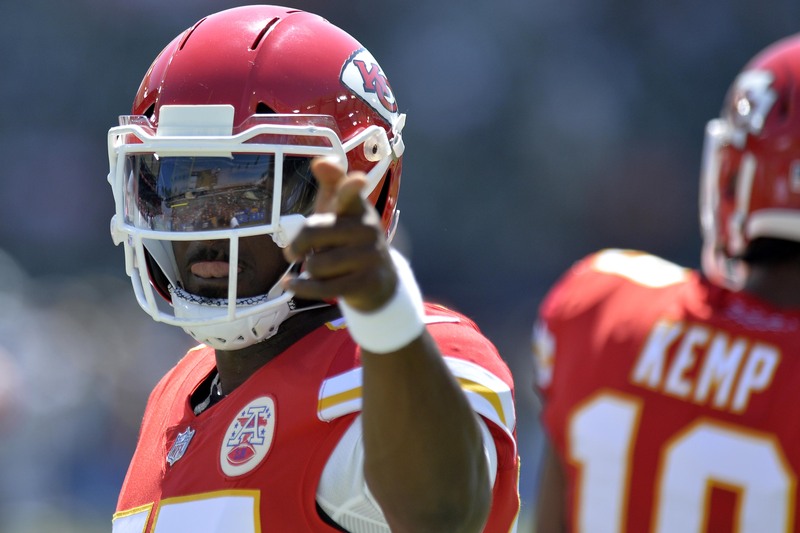 Home New York Giants New York Giants: Should The Giants Trade For Chiefs’ Pass Rusher Dee Ford? Beginning on February 19, NFL teams were officially allowed to apply the franchise and transition tags to impending free agents. The New York Giants have yet to place a tag on safety Landon Collins, but a few other teams have used their tags. The deadline to use the franchise tag is Tuesday, March 5th. The Kansas City Chiefs officially placed the franchise tag on edge defender Dee Ford on Saturday, March 2nd. However, the Chiefs will be listening to trade offers for Ford. The Chiefs recently made a change in their defensive scheme, which is why they are willing to trade Ford. Dee Ford is a 3-4 edge defender. He is a stand-up outside linebacker that is great at rushing the passer. In 2018, Ford had 13 sacks, 7 forced fumbles, and 55 tackles. He was Pro Football Focus’s 11th ranked edge defender with an overall grade of 87.7. He even earned PFF’s number 1 ranked pass-rush grade in 2018 with a grade of 91.0. With the Giants having the 2nd least total sacks in the league in 2018, Ford could be a big upgrade off the edge. The Giants are reportedly shopping Pro Bowl edge rusher Olivier Vernon. If the Giants do not find a trade partner, they could cut Vernon to free up a large amount of cap space. Regardless of wether the Giants trade or cut Vernon, they will still have a massive hole to fill at the edge position. Dee Ford could fill that hole. Olivier Vernon was good in 2018, but has been inconsistent during his entire career with the Giants. In 3 seasons with the Giants, Vernon never reached 10 sacks in a single season. He has only done this once in his career. He had 11.5 sacks with the Dolphins in 2013. Ford has reached 10 sacks twice in his career. He had 13 in 2018 and 10 in 2016. Former Giants general manager Jerry Reese signed Olivier Vernon to a massive contract back in 2016. Current Giants general manager Dave Gettleman inherited Vernon and his gargantuan contract last offseason. With Vernon not playing up to his contract, it makes sense Gettleman is considering moving on from the veteran. An interesting scenario that could take place is a Vernon for Ford trade. Olivier Vernon played under the Chiefs’ current defensive coordinator Steve Spagnuolo when he was with the Giants. Spags helped Vernon have a career-year in 2016. This might lead the Chiefs to have a lot of interest in Vernon. Vernon could go back to being a 4-3 defensive end for the Chiefs, while Dee Ford could continue his career as a 3-4 outside linebacker with the Giants. It would be a high-risk, high-reward trade for both teams. But if Spagnuolo can get the best out of Vernon in Kansas City, and Dee Ford can continue to progress his talents in New York, both teams could walk away from this trade very happy. Dee Ford did have PFF’s highest pass-rush grade in 2018, but that grade came out of no where. In Ford’s first four seasons in the NFL, he was nowhere near as good as he was in his fifth season. Dee has been wildly inconsistent throughout his career. In 2017, Ford dealt with a back injury. This forced him to play in only 6 games and total a measly 2 sacks. It took Ford 5 years to finally hit a real stride, then, once he did, his defensive coordinator was gone. Maybe a change of scenery will bode well for Dee. Or maybe he will regress back to his previous playing talent. If the Giants trade for Ford, they will be hoping to progress his talents. The Giants have lacked a serious pass-rushing threat for years now. If Giants defensive coordinator James Bettcher can figure out a way to elevate Dee Ford’s talents, trading for him could be a brilliant move.